While playing LittleBigPlanet may be old hat to some of us, you, the commoner, may be getting your hands on a Sackboy as soon as September. That's this month! According to a post from the official PlayStation forums, a public beta test for the PlayStation 3 is planned for sometime this month, the details of which are unfortunately largely detail-free. 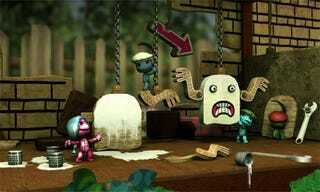 There will be a limited public beta test for LittleBigPlanet in September. If it will be possible to "sign up" for this test, full information on how to do so will be made public in advance of the test. Similarly if the test is going to be conducted in an invitation-only we will let you know ahead of time.